The Overhead Myth is a tale all too familiar in the nonprofit sector. Unrealistic funder expectations put pressure on nonprofits to minimize infrastructure needs. Pitting operations against programs eventually ends with misleading reporting, thus fueling the vicious cycle. But what is the answer for nonprofits that are ready to break this cycle? A capable financial system is the foundation for a solution. 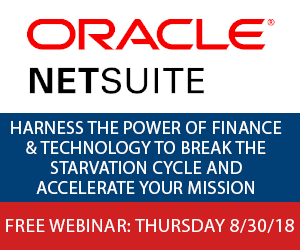 In this session, we will explore how nonprofits can implement the right technology in their organization to break the vicious cycle, and accelerate their mission. How the Overhead Myth is starving nonprofits of proper infrastructure to succeed. Where nonprofits can take advantage of social impact programs to lessen the financial burden. What best practices other nonprofits are implementing to use technology for good.